At a height of more than 2000 meters, the hill station of Kodaikanal is amongst the most visited tourist places in the southern part of the country. Located in the green surroundings of the Western Ghats, this hill stations is a great fix for people looking for a getaway from their mundane work schedules. Consisting of dense forests, high cliffs, meandering rivers, gushing waterfall and the view of the ghats, Kodaikanal appears like a fresh breath of air. On a tour to this magical hill station, here are some of the major attractions you shouldn’t miss at all. If you’re staying in any city from the southern state, Kodaikanal is easily connected via roadways. If coming from far off cities, you need to board a flight or take a train. 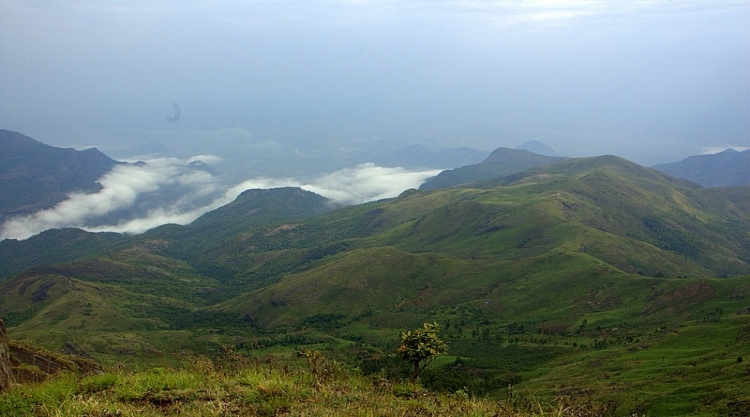 If you haven’t explored the area before, going for Kodaikanal tour packages is not a bad idea. However, if you wish to go sightseeing on foot, the natural beauty of the hill station will keep you hooked. Some of the best places to see are. Kukkal Caves – One of the most alluring excursions from Kodaikanal, this man made wonders are located about 40 km from the main city. The trek leading to the caves, will take you through a dense forest cover, filled with orchids and clusters of shoal trees. Located at an altitude of 1500 m, the Kukkal caves are considered to be amongst the oldest carved caves. Standing atop the hill, you can enjoy a mesmerizing view of the Manjampatti valley down below. If geography interests you, the view of hanging stalactites and rising stalagmites is something you might want to capture in your phones. Karthikeya temple – Also known as the Palani temple, this religious spot attracts thousands of visitors each year. Situated at a distance of about 65 km from the main city, this temple is built in honor of Lord Subramanian. If you practice cardio and got a strong pair of legs, walking the 659 steps of the temple might be easier for you, if not, there are other ways to reach the temple. Visiting the temple in January and April is considered best, when the festivals of Tai Pusam and Panguni Uttaram are celebrated with great zeal. Bryant Park – Named after the British officer Glenn Bryant, this botanical garden was built in 1980. Located on the eastern banks of the Kodaikanal lake, the park is famous for its annual flower show. Berijam Lake – Another enchanting attraction in the region, it takes a small trek of about twenty kilometers to reach the city. The location is a great camping site, where you can enjoy with your family and friends. With these fantastic places to visit in Kodaikanal, spending a wonderful time is always guaranteed. So when are you planning yours?